LOVELY CORSA 1.2 ENERGY FINISHED IN METALLIC BLACK AND LOADED WITH AIR CON, ALLOYS, REAR PARKING SENSORS & MORE! IDEAL FIRST CAR DUE TO LOW TAX/RUNNING COSTS & INSURANCE GROUP! 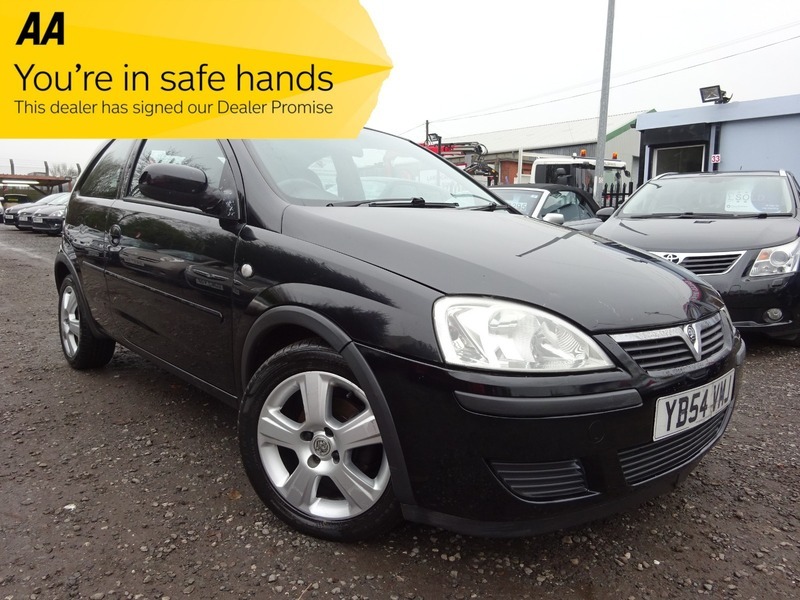 SUPPLIED WITH PLENTY OF MOT, 3 MONTHS WARRANTY & 12 MONTHS AA COVER!, 3 months warranty, Next MOT due 23/07/2019, Air conditioning, Remote central locking, Power assisted steering, ABS with EBD, Multiple airbags, Rear parking sensors, Electric windows, Electric heated door mirrors, RDS CD Stereo with fingertip control, 12v Power outlets, Tinted windows, Alloy wheels, Heated rear screen. 5 seats, Black, ALWAYS A FRIENDLY & PROFESSIONAL SERVICE! ESTABLISHED SINCE 1980!, .